Cult of Khaine - Dark Elf Warhammer Minatures Blog: Bronze Golden Demon! Well it has been a while... think I said that in my last post a few months ago! 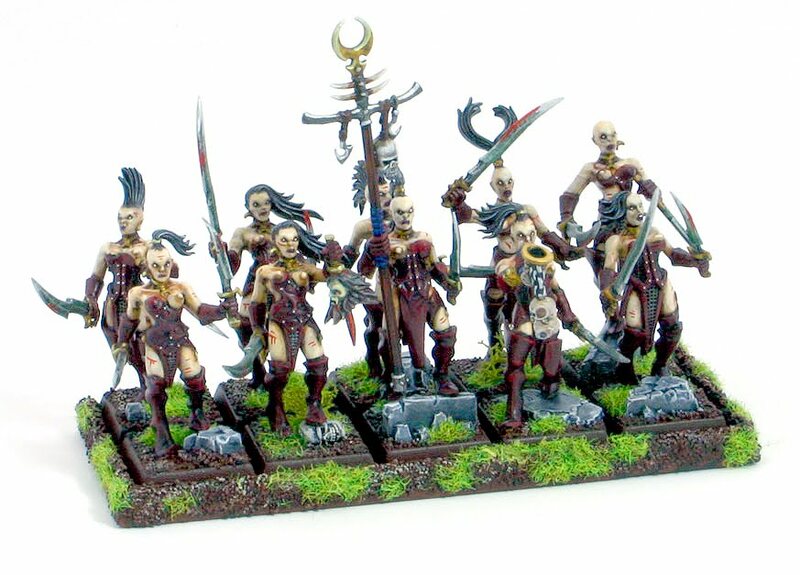 I entered the Aus Golden Demon comp again this year and to my surprise won a bronze for the regiment category for my Witch Elves - woo hoo! I after all my atempts over the past few years it's great to finally come away with something. I have always been able to get a number of enteries through to the Nationals but never taken out a prize. This year was extra special I was able to get to games day which was awesome! I have been getting back into painting again - just finished a unit of skeleton warriors and goblins and should have some new posts soon. Outstanding! Many congratulations CoK, it's a great accolade and achievement. PS. Please post some of your mini pics on the Battle Reporter forum !